NEW DESIGN! Magical moments are fluttering your way! 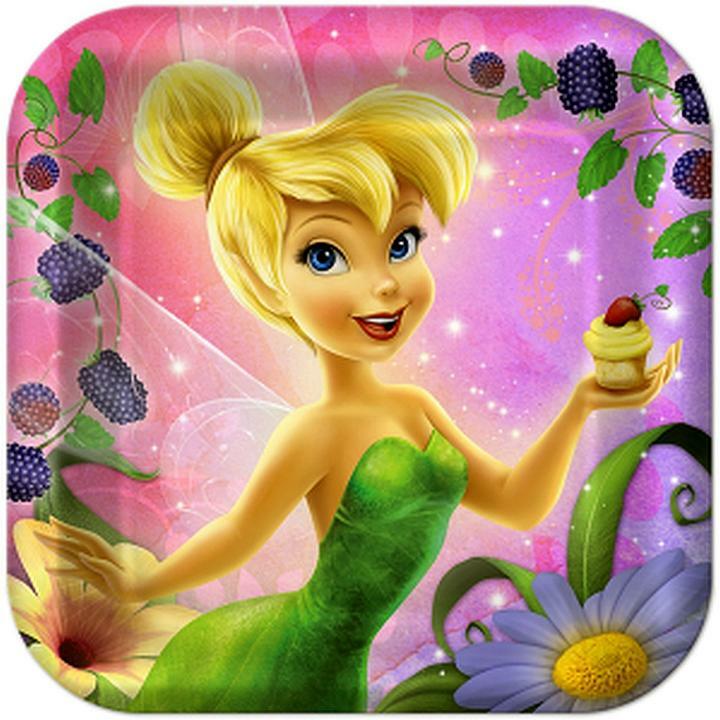 These dazzling Disney Tinkerbell plates measure approximately 9" x 9" square and are sure to bring squeals of delight from the party crowd. Each package contains a total of 8 paper Tinkerbell party plates in 2 Tinkerbell designs.